New York socialist Congresswoman Alexandria Ocasio-Cortez is quickly becoming the most radical member of the Democratic Party. But one Democrat is now giving her a run for her money. And their outrageous proposal threatens to outdo everything Ocasio-Cortez has pushed for. When Alexandria Ocasio-Cortez was elected to the House of Representatives last November, she quickly became an overnight celebrity within the Democratic Party. The New York socialist has positioned herself far to the left of the Democratic Party, signaling her support for radically progressive policies like massive gun confiscation, the “Green New Deal”, and even a wealth tax rate of 70%. But she’s about to be outdone by another freshman Congresswoman. 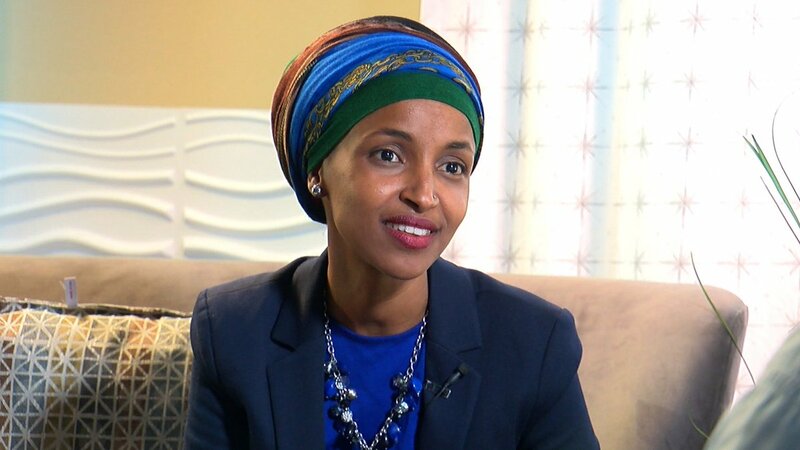 Minnesota Congresswoman Ilhan Omar just recently came out in favor of the most radical tax law ever proposed in the history of the United States. Just weeks after Ocasio-Cortez unveiled her 70% tax rate proposal, Omar outlined her support for a tax rate of 90%. The fact that she suggested a 90% tax rate as a “start” suggests Omar doesn’t understand basic math. A 90% top tax rate only applied to an extremely small number of Americans during a very short period in this country’s history. What’s more, tax loopholes and deductions rendered that tax bracket meaningless during the time it existed. Advocating for a 90% tax rate, even at the highest of the income bracket, is still promising to confiscate almost the entirety of someone’s earnings. It would destroy any incentive for work among those who run some of America’s largest businesses, which employ millions of citizens. The fact that Omar suggested it as only a starting point also indicates that the door would be open to even more radical proposals down the line, including the potential outright confiscation of someone’s wealth. A 90% tax rate would destroy America’s economic future. What’s worse, it could enable Congress to start increasing taxes on middle-income Americans as well, who may end up paying a tax rate of 60% or 70% to match the 90% tax rate. Omar did not specify how this plan would work in reality, nor what the unintended consequences of her proposal could be. But one thing is certain, Omar’s proposal signals a dangerous shift in the Democratic party as younger Democrats work to outdo one another to see who can be more aligned to the principles of far-left socialism and even communism. Do you think a 90% tax rate would be a good or bad idea?